Are You Ready to Amplify? 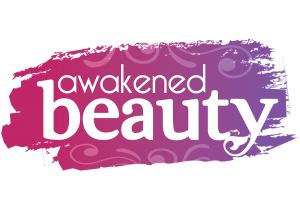 The Awakened Beauty Experience is an exclusive tribe of sister women, age 50 and over, who now recognize there’s a deeper divine plan for this season of your life. You have Awakened Your Truth, meaning you know who you are. You’ve Answered and Advanced Your Next Level Call, meaning you’ve done great work and had success in life. But now you’re asking “What’s My Next?” You’ve even wondered if you still have a place in today’s complicated world and culture. Deep inside the emptiness you feel at times, you still sense there’s something more for you to do. The Awakened Beauty Experience will show you that not only do you have a place in this season, but it’s YOU (the boomer woman) who will drive the new narrative, the reshaping and the rewriting of a new cultural story for this season in today’s world. It’s Time to Amplify! Amplify your voice, your value, your vocation and your vision for greater service and contribution to the next generation of awakened leaders who are coming up in the world. This is the Big Shift and The Game Changer for women over 50. Because this next level season will become our Legacy. You are about to embark upon an unpaved road to the other side of an Awakened Life Evolution and Experience. It’s OUR Life Reimagined and Success Redefined. Discover and Clarify Your Next Level Season. Embrace Your Time of Blooming Through Healthy Living. Breakthrough & Dismantle Unconscious Beliefs, Blocks and Barriers That Keep You Stuck. Learn to Amplify Your Voice, Value, Vocation & Vision for Your Next Level Season. Master Our Philosophy of Doing Less and Being More. Enjoy a Sense of Community and Sisterhood. Spiritual Healing, Growth and Transformation. If you’re ready to rise as an Awakened Beauty, you’re going to have to examine and shift darn near every thing that’s in your life. But we will make the experience fun, exciting and meaningful through our Monthly Facebook Live After Dark Group Sessions. From guidance as you’re moving out of teeth chattering triggers, to the complete dismantling of your hidden BS (Belief System) that keeps you paralyzed when it comes to actually doing what you say you want to do. You will also learn new ways of parenting adult children, to creating more loving intimate relationships w/ your beloved to Big Dreams, and Next Level Callings. All the in-between stuff, too. We’ll do it as Sisters, with tears, goosebumps, some music and perhaps a few geeky jokes and most certainly with some side-splitting laughter. With freedom comes a hunger for Life and adventure. So we decided to add some adventure to your life with our 2 Exclusive Girlfriend Get-a-Way Live Retreats filled with peace, belly-aching laughter and a constant undercurrent of Joy. You will leave with the confidence to embrace self-acceptance and self-love with an extra helping of I’m Not Apologizing For Being Me Anymore and navigate the Now (regardless of what – or who – the Now is throwing at you). Most of all the courage to embrace Who You Are, where you are, and where you’re heading. All of this while connecting with other sister women and enjoying some amazing adventures, speakers, great food/music, dancing, excitement, and more. As we mature, our relationships become more important to us than ever. Through our powerful “Love Redefined Series” Video Series and Live Sessions, you will learn tools for building and sustaining mutually satisfying loving relationships that last. We will dig deep into your fears of not being good enough, break free from those old unexamined relationship patterns, plant some Spiritual Seeds in your heart space, release some old attachments that no longer serves you and help you to ditch those Sad Love Songs so you can move with the swag of a runway model and dance your “magical love dance” with your beloved. As women, we do good when we feel good. Love makes us feel good. Doing less does not mean doing nothing. What it does mean is that women over 50 who simply do not want to embrace the “Boss Lady, Grind and Hustle Syndrome”. We have learned that focusing first on our internal landscape will allow us to create more without the overwhelm, but with ease and grace. We understand that our worth and our value are based more on Who We Are and less on what we do. You will learn the power of Doing Less and Being More with this Awakened Beauty Experience. Becoming part of a tribe that will not only offer you support, sisterhood, and strategies for this season of your life, but will also offer you a sacred space for growing, expanding and connecting. This is NOT “just another program” this is an experience filled with healing, power and a sense of belonging, purpose, significance and meaning. It’s a Life Reimagined and Success Redefined. Once a Quarter “Love Redefined” Videos or Activities. *Girlfriend Get-a-Way Live Retreats & Soulful Conversations Gatherings Travel/Lodging/Food are Priced Separately. Become an Awakened Beauty Today! Join Our Community to Remain Connected! Join our community to stay connected with us and learn when enrollment for this amazing program opens in August 2019. You will also receive powerful weekly updates and inspirational messages from Angela Carr Patterson.